He reaches all the way back to the ancient beginnings of music and incorporates all that embraces the music of the future. 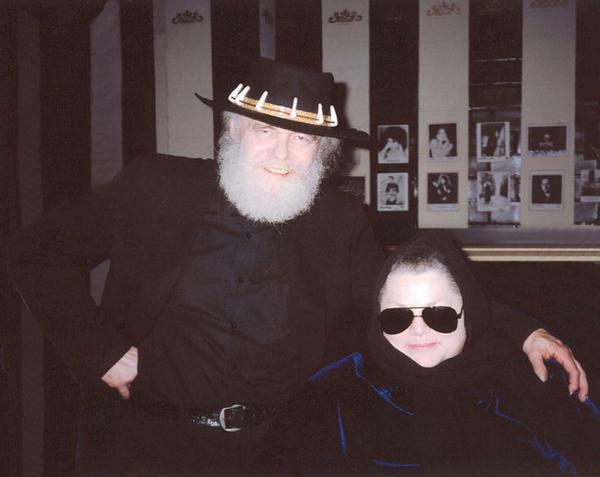 Garth Hudson of "The Band" started his illustrious musical journey playing the Detroit/Windsor area in the late '50s with Paul London and the Capers. He toured SW Ontario in the early '60s with Ronnie Hawkins. Garth and band mates soon became Bob Dylan's band on his first worldwide electric tour. The Dylan years lead the band to relocate to Woodstock, New York in the late '60s. The Band's first release, "Music from Big Pink" was critically acclaimed as one of the most influential records in Rock History. Garth has released his first solo CD, "The Sea To The North" and has just completed co-producing and recording with Burrito Deluxe ("The Whole Enchilada"), also "LIVE at the WOLF" of his Intimate shows with his wife, vocalist Maud Hudson (to be released Feb. 2005). You will hear his wizardry on Norah Jones' "Feels Like Home", the recently released "Bird Up", the Gypsy Kings "ROOTS" released last spring, and on Los Lobos' "RIDE." Get ready to hear Garth on Neko Case's newest CD (to be released spring 2005). Juno Hall of Fame, 1989 (The Band) . Rock and Roll Hall of Fame, 1994 (The Band) . Canada South Blues Society's Lifetime Achievement Award, 2002. Maud Hudson, joins her husband, Garth on vocals. She is a remarkable and versatile singer who is known for her unique renditions of both familiar and obscure songs. She grew up in Los Angeles. Among those she has performed and recorded with are The Band, Norah Jones, Albert Collins, Paul Butterfield, Clifford Scott, Hirth Martinez, Dr. John, Cyndi Lauper, Geoff Muldaur, Eric Andersen, Kevin Hearn, Don Crawford, Gavin Friday, and Mary Margaret O'Hara. Rick Danko described Maud as a brilliant singer and she has received praise from Greil Marcus and Robert Hilburn of the LA Times among other notable critics. Depression Magazine wrote, "Maud sang with such unadorned elegance that it hushed the packed hall."